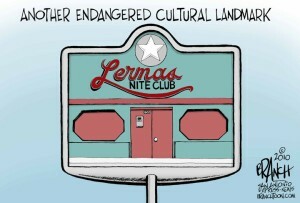 On August 19, 2015, the City of San Antonio will have an opportunity to consider a request from Esperanza Peace & Justice Center, the non-profit owner of historic Lerma’s Nite Club, for $1,000,000 toward the $2.1 million restoration project. Lerma’s is listed on the National Register of Historic Places and was included on our 2014 Most Endangered Places list. The Esperanza Peace & Justice Center has demonstrated remarkable innovation and creativity in preserving the history and culture of San Antonio’s Westside. 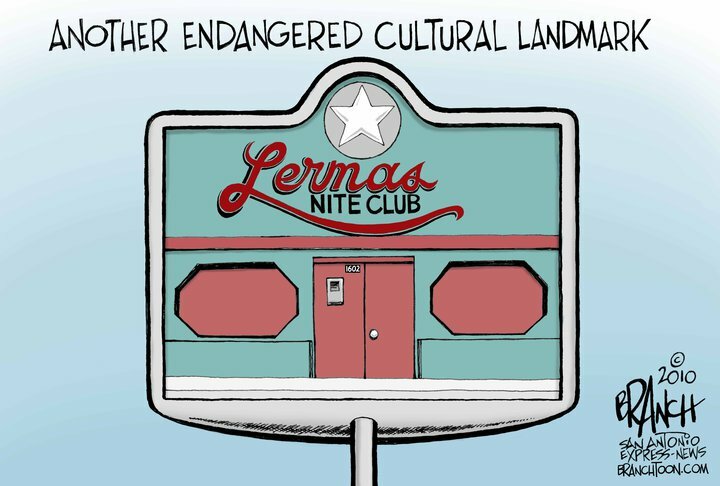 Their determination to preserve and restore historic Lerma’s Nite Club underscores the importance of protecting not just historic architecture, but the cultural traditions that they embody. We support Esperanza’s request for $1,000,000 from the City of San Antonio to save Lerma’s, which we included on our 2014 list of Most Endangered Places in Texas. As one of the longest-running live conjunto music venues in Central and South Texas, Lerma’s is a landmark in the music history of Texas and our nation. Indeed, it is listed on the National Register of Historic Places in large part because of this unique history. As a restored historic structure, Lerma’s will become an important heritage tourism destination that will strengthen what San Antonio has to offer as an authentic, culturally diverse international city. Esperanza has engaged the professional expertise and developed the institutional partnerships needed to properly plan for the preservation and reuse of Lerma’s. They are engaging their neighbors in a transparent process to ensure that the building serves its community while honoring the cultural traditions embodied in conjunto music. The investment of the City of San Antonio in this nationally-significant preservation initiative will provide the financial leadership essential to ensure that Lerma’s can be saved. This investment will also stimulate further preservation and improvement of the neighborhood around Lerma’s. We thank you and the City of San Antonio for your commitment to historic preservation as a citywide civic priority.